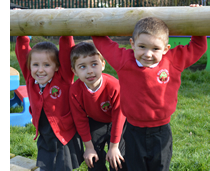 Middlewich Primary School is an established, successful and well-respected community school offering excellent education in a safe, nurturing environment. We pride ourselves on doing the best for every pupil. Your child is unique with their own individual personality, interests and abilities. In our happy, caring school all children will flourish and achieve their best academically. They will develop a wide range of skills including those which enable them to work with, and show respect towards others. For a more detailed overview of NEWS, EVENTS or GALLERY items, please click on the tabs below. Please visit the Ofsted website to give your views on our school.